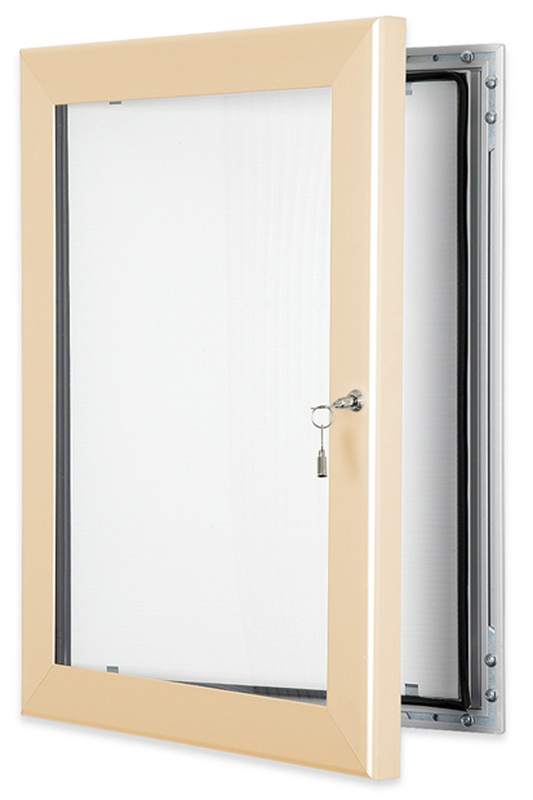 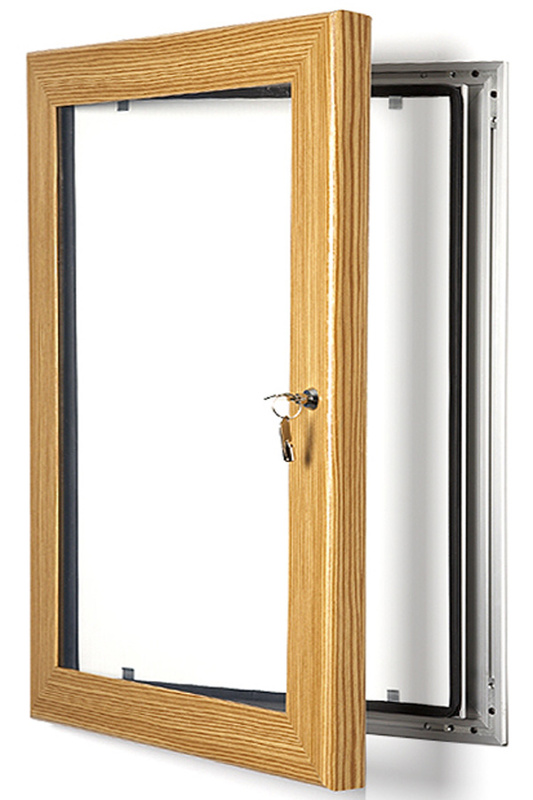 A lockable, waterproof noticeboard which is ideal for schools and colleges as it can be used indoors or outdoors. 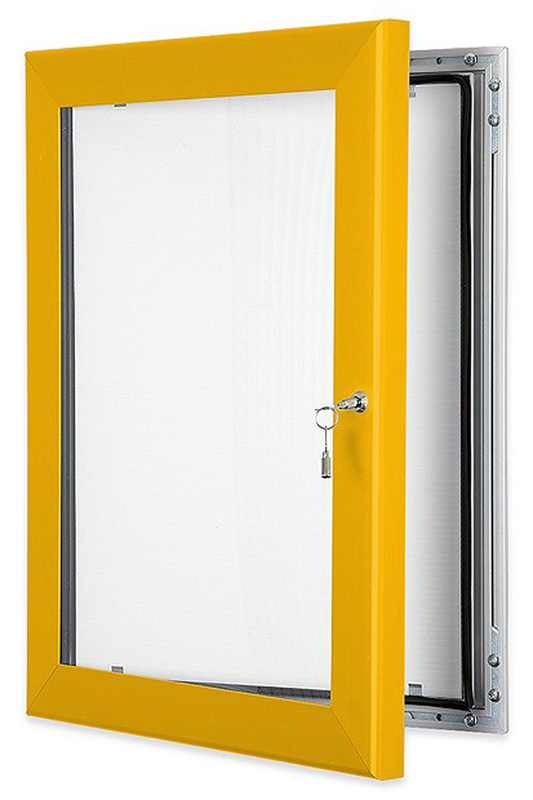 This outdoor noticeboard has a strong extruded aluminium frame, a tough plastic poster cover and a water seal to protect posters inside. 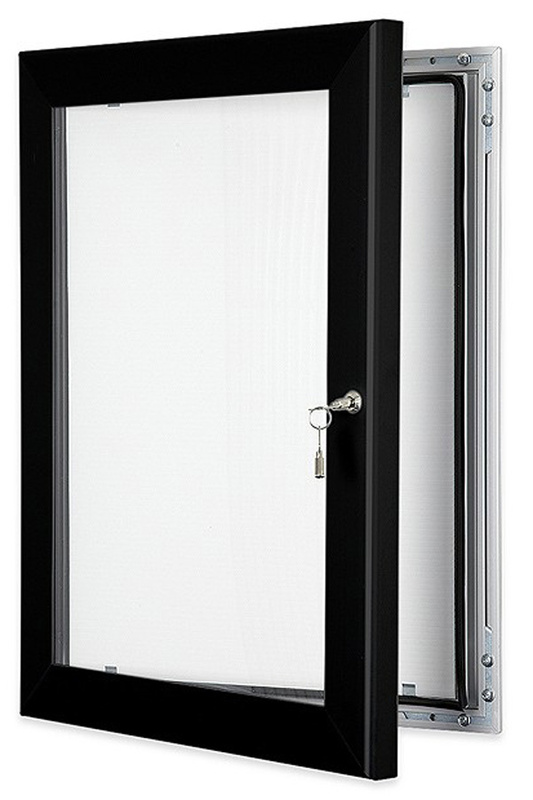 The noticeboard comes in 6 sizes and can be installed in either a landscape or portrait orientation. 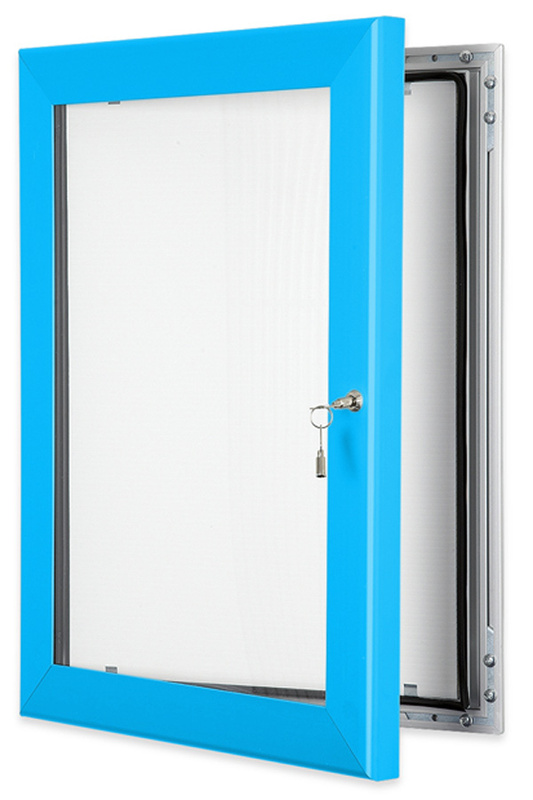 Frame comes in a choice of 17 colours and you can choose from 3 different interiors: correx (suitable for use with blutack or tape), magnetic and pinnable. The pinnable finish comes in grey, red, green and blue. 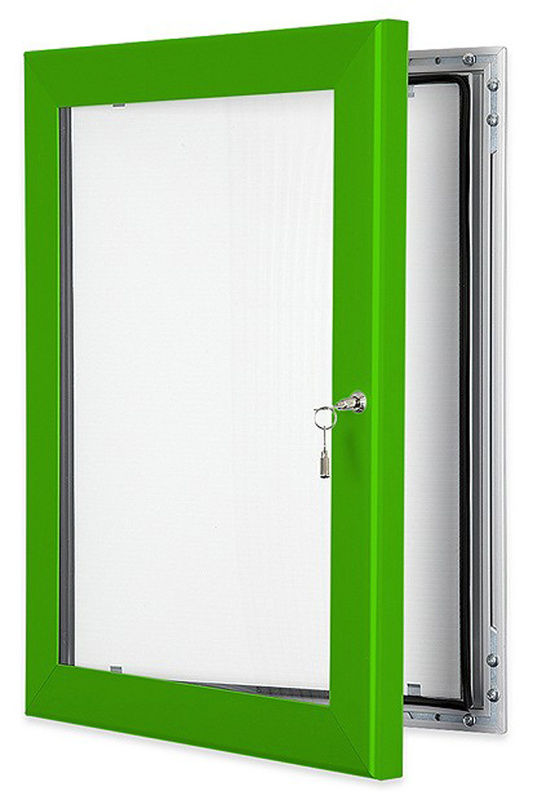 Please note: All of our external noticeboards with coloured frames are made to order in the UK to your specification and options chosen and therefore cannot be returned unless faulty. Please read specifications and sizing carefully prior to ordering. 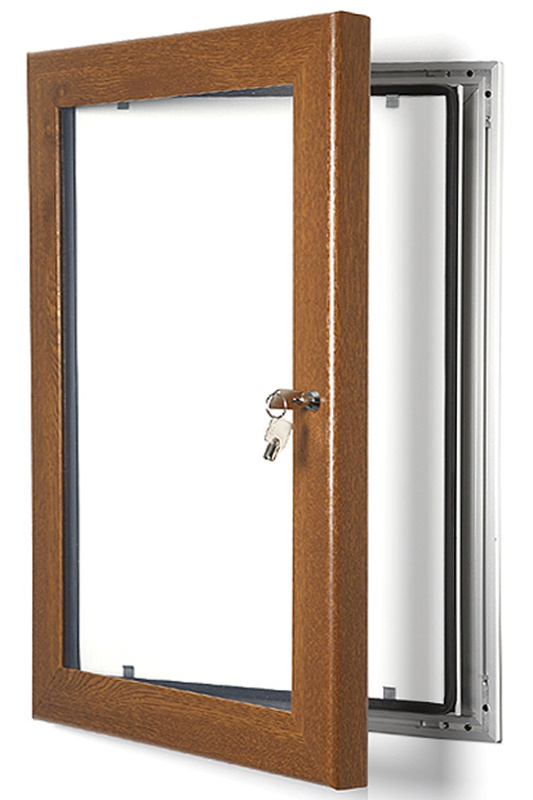 Manufactured to order and dispatched within 3-4 days.